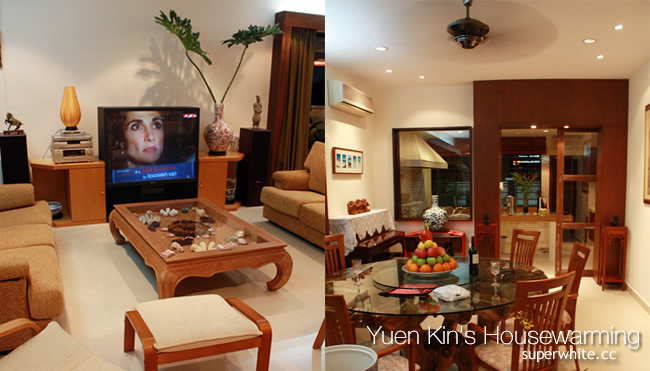 Went to yuen kin housewarming last week, how successful in his father undertakings and I was curious to find out how beautiful is his house! The food which was prepared by a catering service was pretty good. We have satay chicken, cheese biscuit make by his sister. I guess we miss the refreshing cendol, because we can’t wait to visit his room!!! Now, let’s take a look at the garden. 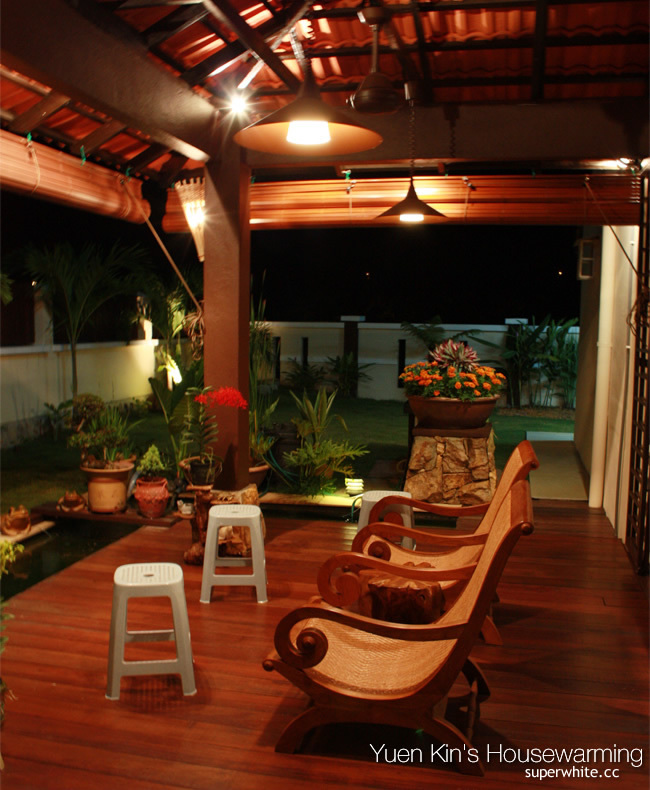 This will be a really nice place to relax, have some drinks and of course you will have a lot of inspirations just by sitting under the cool breeze (The aircond from the living room). There was a 40 over inch LCD TV on the pretty cabinet in the living room, but the table was stand out from the rest, you can see the beautiful sea shell decorative beneath the glass. The feel was really nice as everything was brand new. 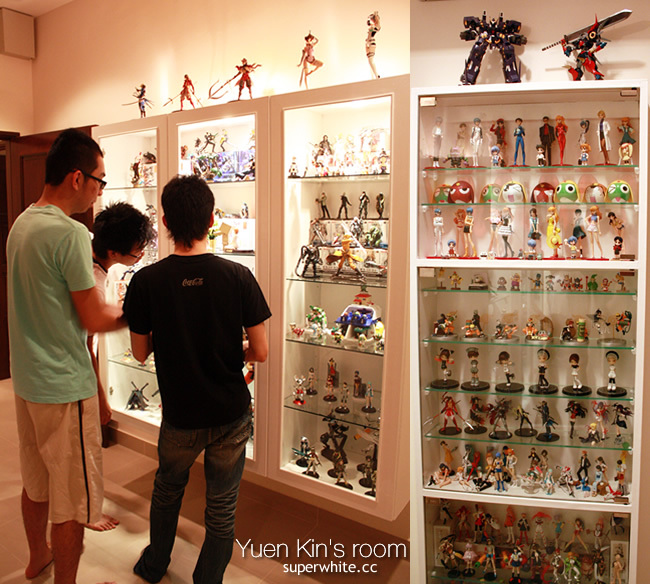 I think every visitor not only impressed on his mansion but also his room and I think the kids love the most. Welcome to the toys world, this has been 4 to 5 year collection I think. Gundam, keroro, evangelion, pvc figures (check out next post if you like toys). So we bought a chair from IKEA for him as a housewarming gift. lolz…. 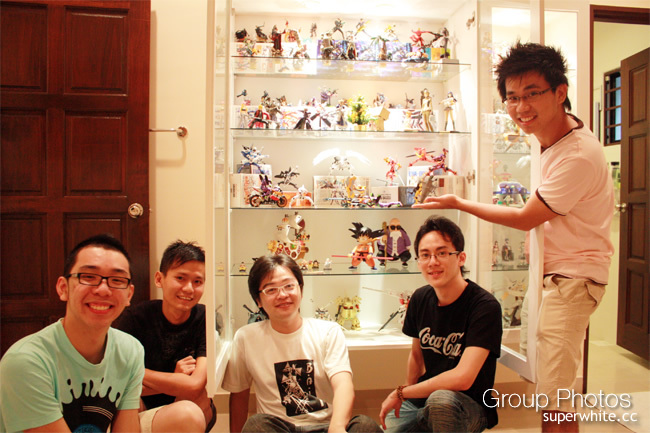 so many sohai come my house warming… joshua AKA: FAZAI38 FFK….